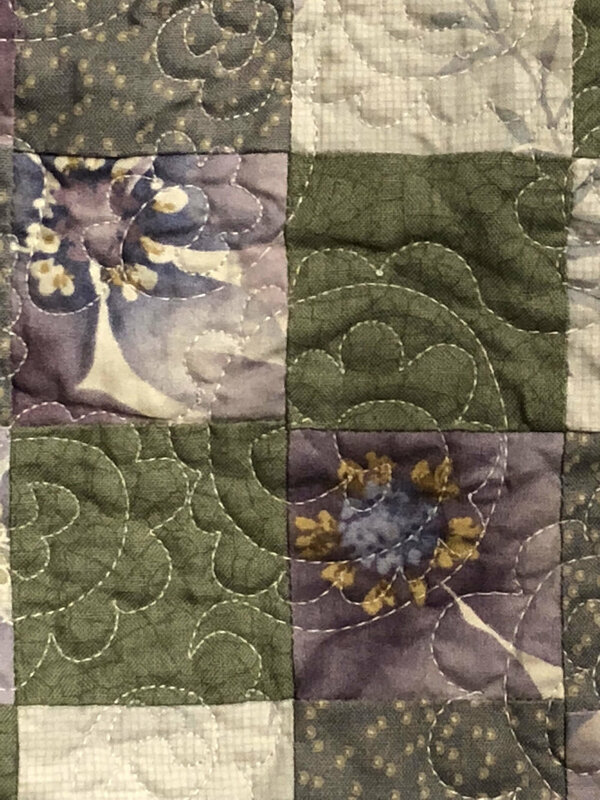 So after I finished those strips, I spent a few minutes posting the rest of my quilt library on GoodReads, then putting all those books away (thereby regaining some serious shelf space). A few more minutes of straightening up and my sewing room was once again a clean slate. 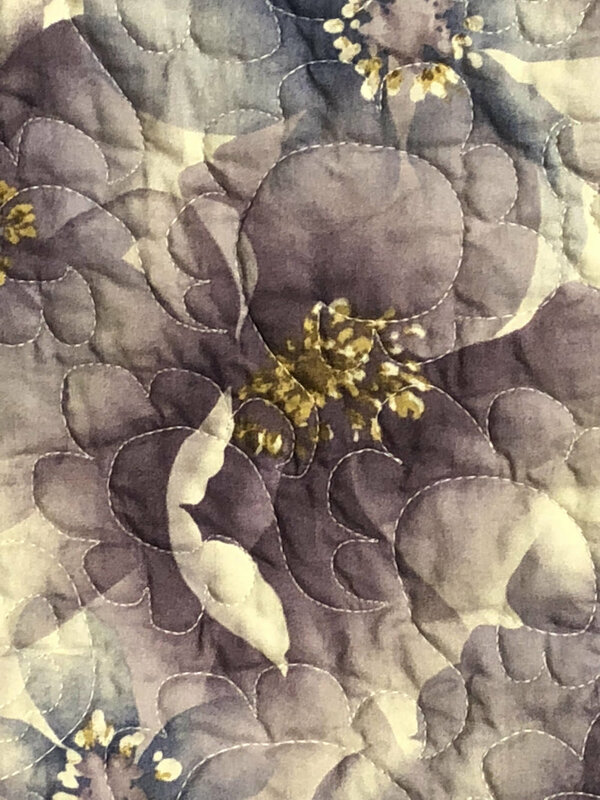 Steeling myself, I returned to the pinwheel quilt. Ah, the lowly pinwheel. 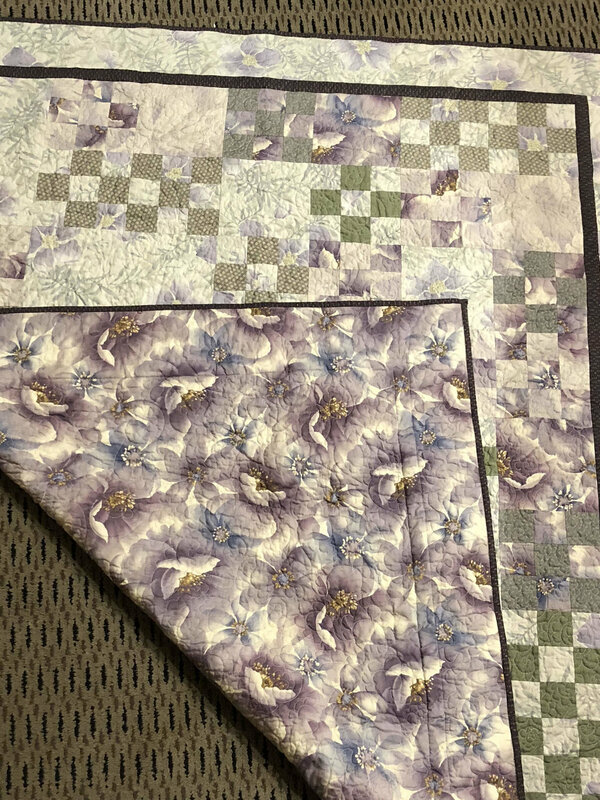 It so innocently sparked such controversy in the quilting world a few months ago when it became the calm in the eye of a storm regarding the "dumbing down of quilting." Like all storms, I believe that one has subsided. Myself, I have no particular opinion as to whether pinwheels are beginner, intermediate, or advanced. I just think they're dang cute. Kim, a listener as well as the inventor of the DD ruler, sent me a sample ruler set to use as a giveaway and one for me to play with. I messed around with it immediately and loved the effect, although I didn't love my initial efforts. I made some bad fabric choices. Since it was just a tablerunner, I had no problem deep-sixing that baby and chalking it up to experience, but I really wanted to mess with the rulers again. The pinwheel quilt gave me the perfect opportunity. 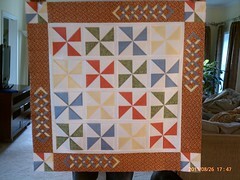 I think this wallhanging will end up being named "Pinwheel Garden" or "Summer Garden" or something--not sure. But I like the idea of pinwheels as flowers and the DD affect as a picket fence around the outside. 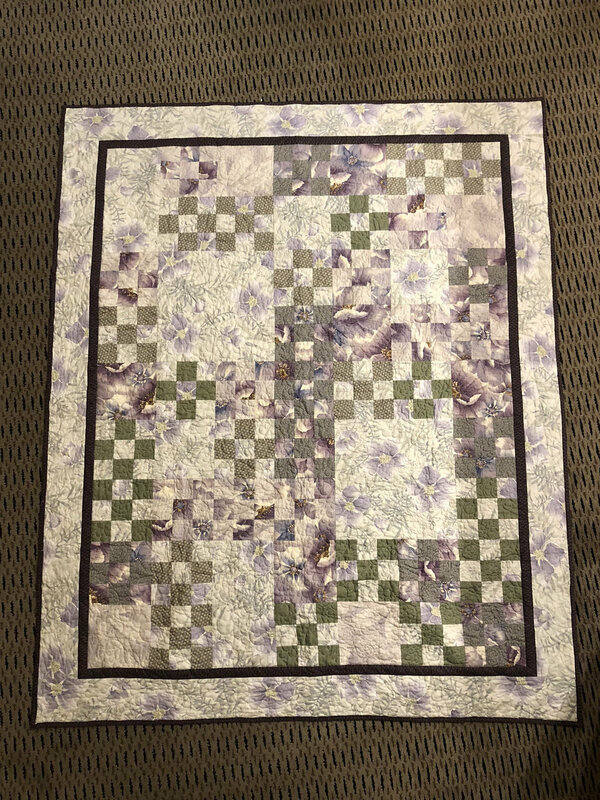 I'm going to tackle the quilting this weekend too, I think. Should get more time on Sunday morning. Then I want to play with some embellishing. So keep posted! In "WIP", "double diamond ruler"